Chamber Music Faculty, Manhattan School of Music. Performed hundreds of concerts with ensembles including the Met Chamber Ensemble (directed by James Levine), New York City Opera, New York Philharmonic, New York City Ballet, Mark Morris Dance Group, Saint Paul Chamber Orchestra, New World Symphony, Absolute Ensemble, Chamber Music Society of Lincoln Center, American Composers’ Orchestra, Argento Ensemble, and the Brooklyn Philharmonic. Can be heard on over 45 commercial recordings, and has premiered or recorded over 200 solo and chamber works with guitar, many as a member of the Award-winning new music group Cygnus Ensemble, including compositions by Babbitt, Wuorinen, Machover, Biscardi, Currier, Naito, and many others. Mr. Fader can be heard on over 45 commercial recordings, in repertoire ranging from the 16th Century (Dowland) to the 21st (Carter). 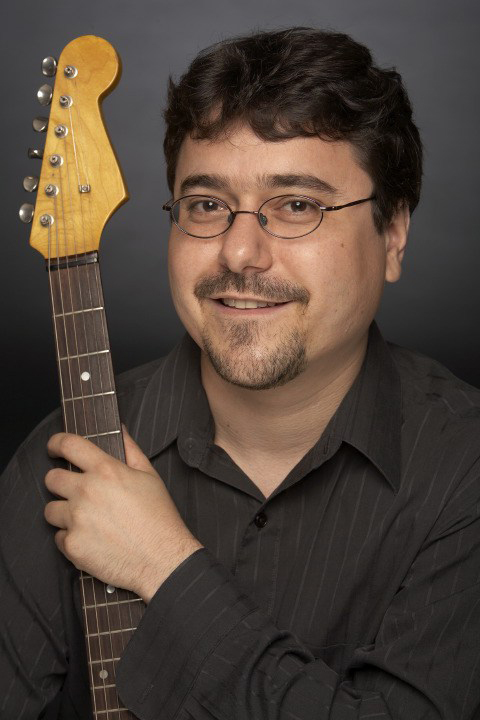 Recent solo releases include “First Flight,” ten premiere solo guitar pieces written for Mr. Fader, and “Another’s Fandango,” featuring solo works from Bach to Bogdanovic, produced by Grammy Award winner Adam Abeshouse. Other recent recording projects include new releases by the Talea Ensemble, the music of David Glaser, and the debut recording of the Anderson-Fader Guitar Duo. Mr. Fader is active in commercial film as well, recording the classical guitar parts for the film, “Everything Is Illuminated,” directed by Liev Schreiber.